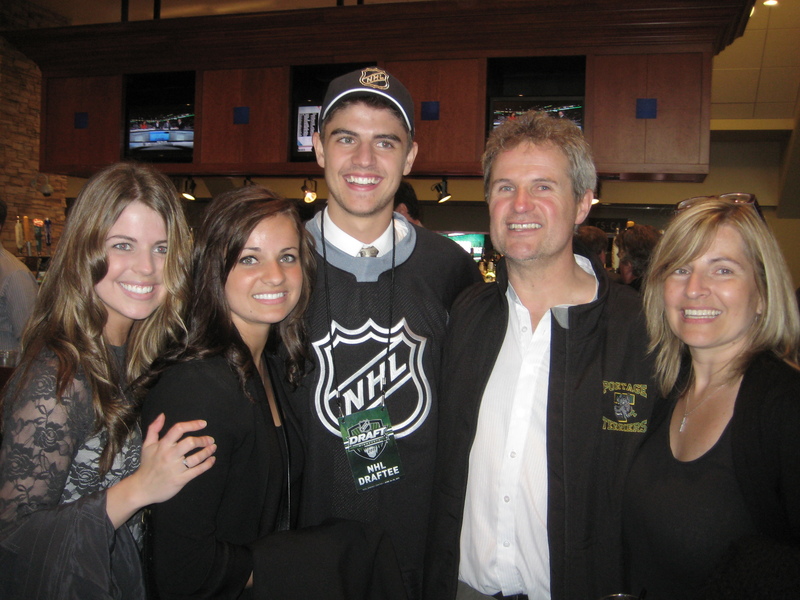 Back in June of 2011, as excitement for our newly returned Jets gripped the city, I made my way down to Minneapolis for the 2011 NHL Entry Draft. For a hockey-crazed fan like myself, it was memorable, to say the least. 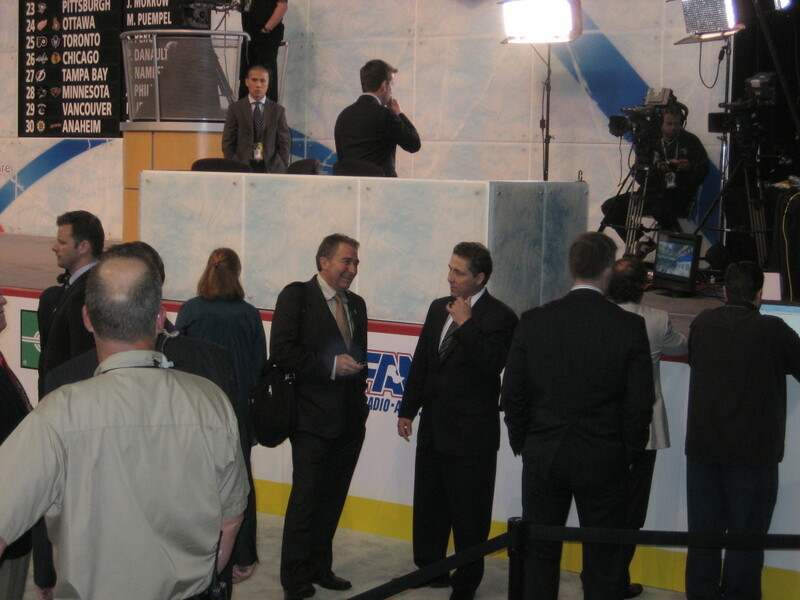 All the hockey media is out in full force – the boys from TSN, Sportsnet, The Hockey News, and many more. Gino Reda and Darren Dreger share a light moment. Then you have the agents, each of whom is hoping that their most prized prospect (or prospects, depending on how big the agency) gets taken early so as to cash in on the large bonuses that are usually reserved for the first round selections. Naturally, all the big agency representatives are there – J.P Barry and Pat Brisson from CAA, Don Meehan and Pat Morris from Newport, the boys from Octagon (including the always entertaining Allan Walsh), and scores of others. After the agents, you have all the team personnel, including scouts, coaches, managers, owners, owners’ kids (in the case of Oilers’ owner Darryl Katz), and sometimes even a current “face-of-the-franchise” player who helps make an important pick. And lastly, and most importantly, you have the young men and their families – mere teenagers of 17 or 18, who are caught up in the pressure of what has become an international sporting event in itself. For me, the whole event was unforgettable. I watched Cheveldayoff shock the crowd by passing on the concensus pick – Sean Couturier – and instead pick the relatively unknown Mark Scheifele in front of about 50 shocked and incensed Jets fans who had all made the drive down. I cozy’d up next to Nick Kypreos, who was casually sitting in the stands, and picked his brain on last summer’s failed bid to bring the Coyotes to Winnipeg. I spoke to Minnesota Wild first round pick Zack Phillips, who was kind enough to let me pretend that I was in fact a member of the hockey media, as I furiously jotted down notes from our brief “interview”. At the time, I didn’t know that I would eventually end up in a team box, which included Jets’ scouts (mostly holdovers from the Thrashers’ organization), other draftees (3rd round pick Brennan Serville, and 4th round pick Zach Yuen), and most of the management team, including Assistant General Manager Craig Heisinger, Head Coach Claude Noel, and General Manager Kevin Cheveldayoff. Of course, I engaged all of them in whatever hockey conversation I could muster. I asked a scout who sounded of Russian origin about a fairly prominent Russian prospect – Nikita Kucherov – who went much later than projected (58th overall to Tampa Bay); the scout thought he wasn’t much of a prospect. (That scout was wrong; Kucherov torched the QMJHL, then dominated the AHL as a rookie, and quickly became a full-time NHL’er at age 20.) Claude Noel was friendly and accommodating, and happy to discuss whatever I threw at him. Cheveldayoff was by contrast, guarded – for instance, he refused to tell me his targets in free agency the following week. And Heisinger was a beauty through and through, as everyone knows him to be. But easily the best conversation I had that weekend came in the stands just off the draft floor with one of the non-playing legends of the game, the late Don Baizley. A long-time agent and advisor for star players like Teemu Selanne, Peter Forsberg, and Paul Kariya, Baizley, then 69, was already in declining health from a battle with cancer, which ended 2 years later (June 2013). Baizley was universally respected throughout the hockey community for his simple, honest, and straightforward approach, and was lauded for being not only an agent, but a mentor, and sometimes even a father figure to some of the players he represented. I spotted him coming towards me up the stairs, and after a tentative “Hi, Mr. Baizley?”, thought it wise to mention I was from Winnipeg. He perked up immediately, and I had the honour of spending a solid 10 minutes with him. I remember asking him how a player as obviously skilled as Jordan Eberle could have fallen so far in his draft year – 22nd overall in 2008 by the Oilers. Coming off World Junior heroics, and a solid NHL rookie sesaon, Eberle already had the looks of a star in the making. In response, he told me a story about his most famous client, and my favourite player of all time, Joe Sakic. Baizley met Sakic when he was just a teenager playing for the Swift Current Broncos. Despite Sakic’s undeniable talent, which saw him rip apart the WHL with 60 goals and 133 points in just his rookie season, scouts and managers had their doubts. Size was never an asset for Joe – even in his prime, he stood only 5’11, 185 lbs, so you can imagine how he looked in his younger days when he was rail thin, and weighed at most 165, soaking wet. And though he eventually became the great skater we all knew him to be, he didn’t have an especially powerful stride when he was younger. Lastly, and perhaps most unsettling for many GM’s was his demeanor. In his later years, long after he was named Colorado’s team captain, had led the Avalanche to two Stanley Cups, and Team Canada to an Olympic Gold Medal, he was regarded as a quiet leader who let his work ethic and his play on the ice do the talking. His success and his reputation did the talking. But as an unproven 17-year-old, his personality was interpreted as shy, insecure, and perhaps even soft. Even in those days, GM’s conducted interviews with the top prospects, and many of those who interviewed Sakic thought that he lacked intensity, and didn’t have the ambition to become a great player. So the Quebec Nordiques “took a chance” on the shy, understated Sakic, drafting him with the 15th pick in the 1987 Draft. But even after after he posted a few hundred-point seasons with the Nordiques, he was left off of Canada Cup squads, supposedly because his legs were too weak. (They weren’t too weak to help him score 48 goals, which he did twice by the time he was 23). In the end, Sakic had the last laugh, scoring 625 goals, and 1641 points, all with just one franchise. (Though it moved in 1995 from Quebec to Colorado.) He was awarded some impressive hardware, too, including the Conn Smythe Trophy in 1996 as Playoff MVP, and the Hart Trophy in 2001 as League MVP. And of course, just last year, he was inducted into the Hockey Hall of Fame. Chances are, this year’s draft will not offer someone of Joe Sakic’s caliber; players like that are few and far between. But the lesson from that story is clear, and for me, its significance only grows with time. 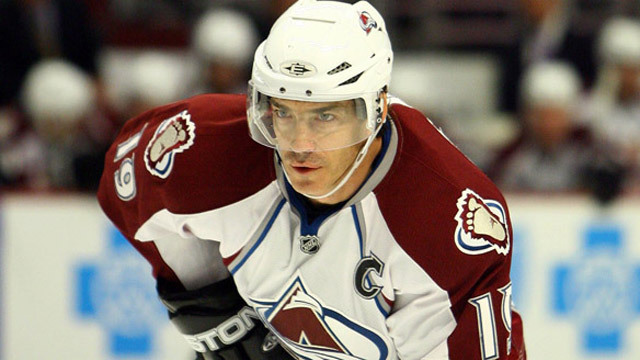 Joe Sakic was drafted immediately after Stephane Quintel, and right before Bryan Marchment. Both of those defencemen had long careers – Quintel played over 1000 games, while Marchment played over 925, and each of them played tough minutes and were fairly important defencemen in their prime. But if you were the Boston Bruins, who selected Stephane Quintel 14th overall, how would your organization have been different if you had picked Joe Sakic instead? Add Sakic to Bourque, Neely, and Andy Moog, and you probably win the Stanley Cup in 1990 instead of the Oilers. Now let’s flip the tables and say Sakic became a total bust – a minor-league scoring sensation at best – and you passed on Quintel, who went 15th to the Nordiques; would your team have missed Quintel? I mean, even remotely missed him? He became a solid, a second-pairing defenceman, but he was never projected to be a big offensive contributor, and he certainly never was. He was a big guy who skated pretty well for a big guy and didn’t have hands of stone. And he had a good career. But by no means was he a rare breed. My point is, the opportunity cost of missing a player like Sakic – someone whose pure skill outweighed all other potential selections by leaps and bounds – does not compare to the opportunity cost of missing out on Quintel. Quintel replicas are everywhere – they aren’t quite a dime a douzen, but they were easily available in a trade at the time, and remain so today. But once you find a player like Sakic, or Yzerman, or Modano, or whichever 80’s/90’s centre-ice scoring sensation you care to name, the opportunity to acquire that player in his prime is rare, and would take a king’s ransom. Granted it was more common in the pre-salary cap era, but today, franchise centres only seem to get traded when they fall out of favour in Boston (Thornton, Seguin…). Now certainly there are examples that run counter to my argument – Milan Lucic was probably not the most skilled player available in the second round of the 2006 Draft, and yet he was easily the best player picked there. 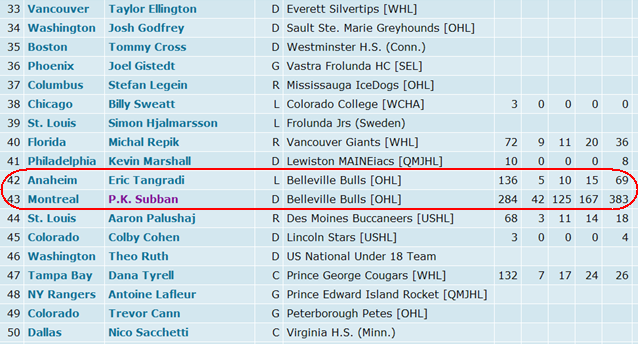 Same goes for Shea Weber in the second round of the 2003 Draft. But more often than not, if you comb through old draft selections, what you’ll find is that the biggest draft busts are often players who were taken because of their physical attributes – size, speed, and strength – while the majority of the later gems are highly skilled players who were passed over because of a lack of size, skating ability, or both. At the end of the day, all I’m saying is I see your Michael McCarron – drafted 25th by Montreal in 2013 – a towering, “power forward” with hands of stone, and the stats to prove it – and I raise you Shea Theodore, drafted one pick later by Anaheim – an offensive force from the back-end whose defensive play occasionally borders on indifferent. In a great twist, this is the exact opposite of what happened at the 2007 Draft – a future “power forward” was drafted 42nd overall by Anaheim (it didn’t work out…), and a very “high-risk, high-reward” defenceman – who may or may not have won a Norris Trophy – was taken the very next pick by Montreal. (Interestingly, they were also teammates in junior). Who might the Jets take with the 9th pick? What does the Ice Caps’ playoff run mean for the future of the organization? Who will the Jets target on July 1? This entry was posted in NHL Entry Draft and tagged 2011 NHL Entry Draft, 2014 nhl draft, bryan marchment, Claude Noel, Craig Heisinger, Don Baizley, eric tangradi, Jason Kasdorf, Joe Sakic, jordan eberle, Kevin Cheveldayoff, Mark Scheifele, michael mccarron, NHL Draft, nhl entry draft, Nick Kypreos, nikita kucherov, p.k subban, Sean Couturier, shea theodore, stephane quintel, winnipeg jets nhl draft, zack phillips by Peter. Bookmark the permalink.